HabileData is a pioneer in offering superior quality typesetting services to clients worldwide. With clients settling only for the best and nothing else these days, service providers, like HabileData, strive to deliver only the finest and the best of its services to clients globally. HabileData offers reliable solutions to the emerging typesetting service requirements of clients today. With years of experience, experts working with the company deliver easy-to-comprehend services. HabileData leads others in the industry by providing professional typesetting services across all domains. The company management ensures all services are of exceptional quality and customer-friendly. At HabileData qualified translators and typesetting professionals work as a team to ascertain that minor details are not overlooked. Typesetting services offered by HabileData are available for all European and foreign languages. Skilled specialists and sophisticated software, enables the company's staff to deliver outstanding quality typesetting solutions. With time, HabileData has become adept at delivering flexible services as per client’s specific requirements. 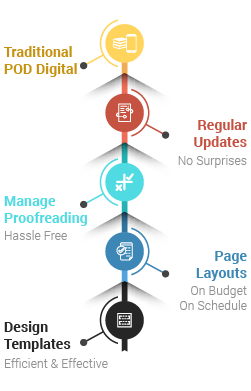 The workforce is proficient in handling typesetting software for MS Word, PDF, Adobe InDesign, QuarkXPress, CorelDraw, MS Publisher and Frame Maker. Why Outsource Typesetting Services to HabileData? Professionals at HabileData strive to be market leaders in providing outsourcing typesetting solutions across all industry segments. Their flexible typesetting solutions and drive to succeed have incited exponential growth and put the company on the world map. To get a flavor of our outstanding work, try our free offer.